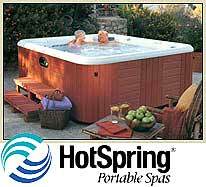 Hot Spring Spas Dealer Serving Washougal, Vancouver, WA. Offers Free Hot Tub Test Soaks to Give Families a Much Needed Break and Feel the Benefits of Hydrotherapy. Oregon Hot Tub, a HotSpring Spas dealer selling new and used hot tubs with stores in Portland and surrounding areas like Washougal and Vancouver, WA is participating in Juvenile Arthritis Awareness Month by providing free test soaks in new or used hot tubs in any of their 5 showrooms. Exercise Staying active is one of the easiest, most convenient ways to treat juvenile arthritis. While it may be uncomfortable at first, adding some physical activity into a daily routine will ease pain, improve strength and increase flexibility. Most activities are safe, making it possible for children to participate in a variety of activities and group sports. Low impact activities that involve a wide range of motion are best, making swimming, biking or family walks an excellent choice. Consistent exercise over time will make daily activities like walking, dressing, even eating easier and less painful. Healthy Weight Children suffering from pediatric arthritis sometimes have difficulty maintaining a healthy body weight. Excessive medications and inactivity often contribute, resulting in weight gain, even weight loss. While it can be a challenge to feed a child with arthritis, providing plenty of fresh fruits, vegetables and a steady supply of calcium is important for keeping the body and the bones healthy. Particularly with joint pain, keeping calcium levels high with a steady supply of milk will ensure bones remain strong and discourage early osteoporosis. Keeping excess weight off will help reduce pressure on already damaged joints. Control Pain With a Hot Tub A few minutes in the hot tub and pain and discomfort from arthritis decrease instantly. Warm water relaxes inflamed, stressed joints and the massaging jets penetrate deep into the damaged tissue area easing pain. Even three days a week, sitting in a hot tub improves range of motion and reduces overall discomfort. Buoyancy created by the water takes pressure off joints instantly, creating the perfect space for relaxing, pain free. Plus, as an added benefit, consistent use of a hot tub at night improves sleep, giving damaged joints and muscle tissue the chance to repair naturally. “To encourage parents to check out the benefits of soaking in a hot tub to help relieve the pain of arthritis for themselves, Oregon Hot Tub is providing free test soaks at all their showrooms. We do recommend however that people wanting to schedule their free 30-minute soak call us ahead of time to reserve their spot,” commented Doornink.